Terry Hearn – carp fishing legend and Angling Trust ambassador at the Carp Society Winter Show. An entirely alien concept to our Australian cousins ! Whilst recreational fishing is a truly global pastime not all fishing cultures are the same. In India I discovered that rod and line fishing for sport was almost unheard of until the British officer class decided to seek out some sporting fishing opportunities in the mighty rivers that drain the Himalayas. Of course, being both expats and toffs they felt the need to recreate, as far as possible, the angling experiences available to the upper classes back in the Mother Country. Horrified at the absence of trout they spent a small fortune stocking the speckled invaders in the mountain streams of Kashmir and Uttar Pradesh where they remain to this day. Prior to the days of Empire the locals across the sub-continent saw fish purely as a food source to be pursued with handlines, nets and, all too often, dynamite. Coming from a culture where returning fish with some considerable care is very much the norm it took me a while, during my fishing sabbatical in Australia and New Zealand, to come to terms with the idea that a day on the water for many was regarded as little more than ‘going out for a feed’. Talking to quite a few casual Aussie anglers I discovered that the catch and release culture of the UK was considered by many as inexplicable. And as for the idea of assigning names to individual carp and treating their hook marks with special antiseptic gel – well that was just downright weird! And on the subject of carp, it’s not just the Aussies that view the Uk’s number one fish as little more than mud sucking pests. I well remember the first time I witnessed the horror of bow hunting in Canada’s St Lawrence River system. I was on a fishing trip with my carp fishing mate Mike Robinson and we had been having a ball with up to 40 fish a day between us including several well over 30 lbs. Suddenly two guys appeared firing arrows, attached to a length of mono, into the flanks of our intended quarry. 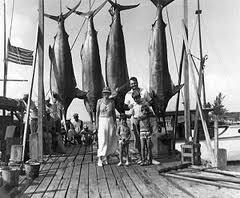 The fish were then dragged back to the boat and the line attached to a series of hooks positioned along the gunnels. No attempt was made to dispatch the creatures, humanely or otherwise, and they were left to bleed and thrash themselves to death. As a carp fanatic Mike was beside himself with rage and, whilst I found the sight pretty distasteful, I persuaded him that we should go fish another bay, respect local custom and practice and not cause an international incident. Fish welfare is now hardwired into most UK anglers. I’ve just come back from the UK Carp Society Show where the latest books, baits and fish care equipment was on show. Nowadays we don’t just have unhooking mats to prevent scale damage we have special ‘carp cradles’ to ensure that the fish can be accurately weighed without placing undue stress on any part of its body. I couldn’t help thinking that my Aussie fishing mates, most of whom regard carp as fertiliser with fins, would have found the whole experience downright laughable. All of which begs the question – can we love our fish a little too much? I guess I lie somewhere in the middle of the range in that whilst I try to practise responsible fish welfare I’m happy to take the odd one for the pot but only if it can be dispatched humanely. Even after all these years I hate to see fish flapping around on the deck or in an icebox just because the angler wants to get his bait or lure back in the water in double quick time. Given that the locals used to laugh at my protestations and accuse me of being a ‘soft pom’ I was pleased to hear of an Australian initiative to encourage the humane dispatch of fish intended for subsequent eating. Brisbane based fisheries scientist Dr Ben Diggles has recently launched a new iphone app which helps anglers dispatch fish humanely by the iki jime method of brain destruction. Ikijime or brain spiking is a Japanese method of killing fish and is the fastest and most humane way to kill fish. Rather than trying club a sizeable tuna, kingfish or barramundi to death or leaving to die of suffocation, a spike is pressed firmly into the brain of the fish resulting in instant mortality. However, as Ben notes: “Fish brains are small and vary in location between species groups, which in the past has been a barrier to the widespread uptake of the ikijime method”. He is hoping that his new app, called “Ikijime Tool”, will change all that by providing anglers with access to diagrams and x-rays of the brain location of over 80 species of fish from 33 of the fish families most commonly encountered by anglers throughout Australia, New Zealand and the Asia/Pacific region. 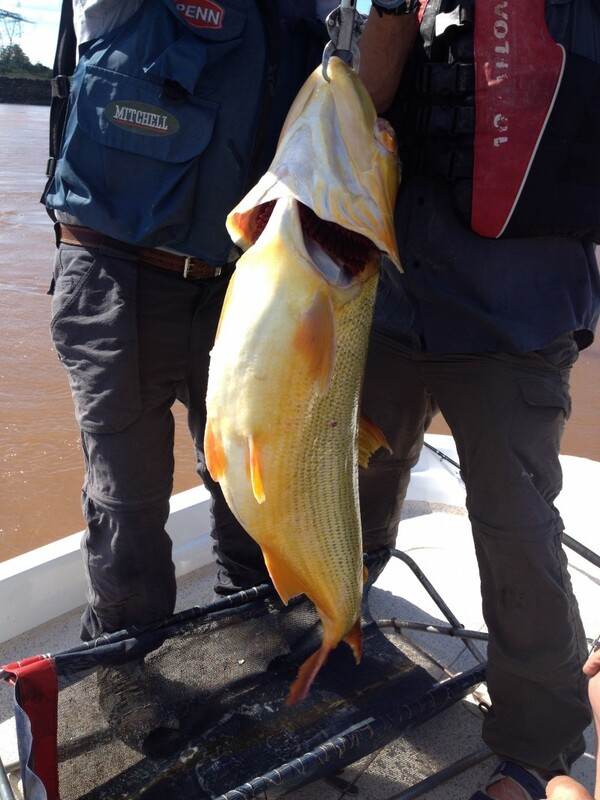 I recently returned from my first ever trip to South America where we were targeting the wonderful golden dorado of the Uruguay River. Every one of these beautiful bars of gold that we caught was returned but I’m not sure they were all unharmed. It was good to see the guides using a cradle to land the bigger fish but sad to witness 40lb plus specimens being weighed via a Bogagrip attached to their jaws. Since the owner of the fishing lodge asked for feedback at the end of the week I voiced our concerns and pointed out that it would be just as easy to weigh the larger dorado in the cradle rather than risk damaging their necks or backbones. Whether or not they take any notice time will tell but for the life of me I can’t see why anyone who makes a living out of a catch and release sports fishery would not want to protect the resource on which their livelihood depends. I will vigorously defend recreational fishing from the antis and every other type of animal rights fruitcake that would love to get angling banned. However, and I know we Brits are at the cuddly end of the spectrum, there is a lot that can be done to clean up the global image of our sport and fish welfare is an important issue. Both science and commonsense is on our side in the fish / pain debate. As anglers we know that a fish which seizes a bait but which is not hooked – say with a bait trapped within its jaws, for example – fights in exactly the same way as one which is hooked. No “pain” yet the same reaction from the fish. But just because the fish that we catch don’t suffer from the act of hooking I don’t think this gives us the right to treat our quarry without appropriate respect. I guess we’ve all witnessed angling practices that do our sport no favours and risk undermining the support we currently enjoy from the majority of the public and the political establishment. I remember match fishing in the 70s as a lad in the bad old days of knotted keepnets and central weigh-ins where the fish were carted hundreds of yards up river in canvass buckets and a good days sport was marred by a cascade of dislodged scales and far too many ‘floaters’ that were highly unlikely to recover to fight another day. Thankfully, modern mesh and the widespread use of unhooking mats means that nowadays most coarse fish are released unharmed and in good condition. In fact the regular recapture of known and easily identifiable specimen sized carp, barbel and chub is a something of a tribute to the care exercised by the modern generation of specialist anglers out of respect and concern for the fish they are targeting. Perhaps we can love our fish too much but hopefully anglers around the world are waking up to the need to be mindful of the image we present to those who don’t fish. Catching and killing more than we can possibly eat is not just wasteful, it is plain dumb. I’m told that it’s now rare to see anglers towing a dead marlin, tuna or shark back out to sea after a glory shot on the quayside. I certainly hope so as I like to think we are increasingly coming to realise that these magnificent creatures that it is our privilege to catch deserve both our admiration and respect. Terry Hearn, what a legend! Nice article, it amazes me the difference in cultures between us, I couldn’t imagine fishing for anything but carp but I can definitely appreciate how alien that must be. I’ve fished in Canada a couple of times and got some weird looks from the locals as I put the carp back in the river! 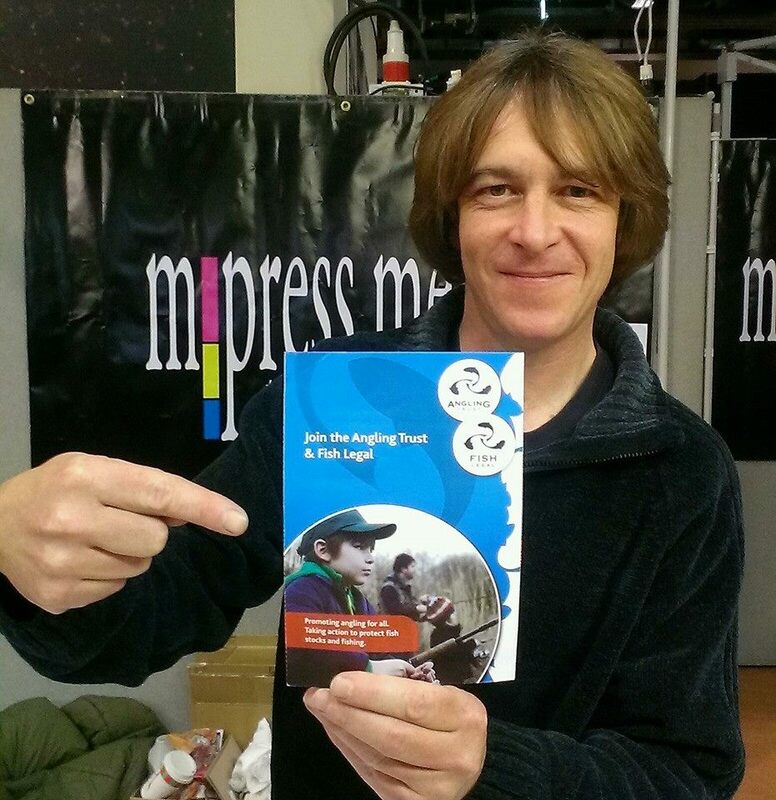 What a great read, thanks for sharing! Great article! I found it to be very interesting and insightful! Thanks so much for sharing!